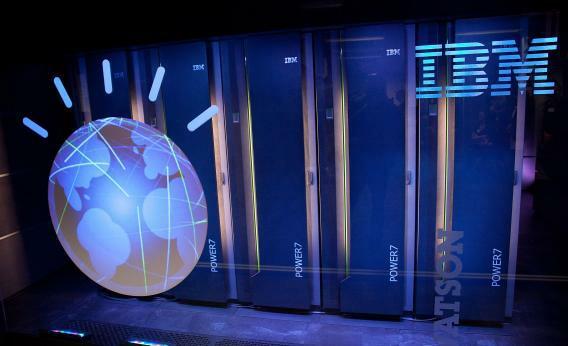 IBM Watson Engagement Advisor: World's smartest computer to work in customer service. Watson in the limelight, circa 2011. Just two years removed from the fame and glory of defeating Ken Jennings on “Jeopardy!,” the world’s smartest computer finds itself looking for work as a call-center agent. IBM Watson represents a bold new step into a new era of computing and has the potential to transform the way people and companies interact over the lifetime of their relationships. The unique combination of natural language processing, hypothesis generation & evaluation, and machine learning of IBM Watson is being applied to customer engagement. For example, IBM added, a bank could use Watson to help customers decide what type of account to open based on their financial situation and needs. Forbes reports that ANZ Bank and Nielsen have already signed on as clients. Keep your head up, Watson. I myself spent a summer working as a tech-support agent when I was 17, and while I can’t say it was the most fulfilling job, it paid the bills. If your experience is anything like mine, you’ll come out of it a much stronger wastepaper-basketball player than you are today.